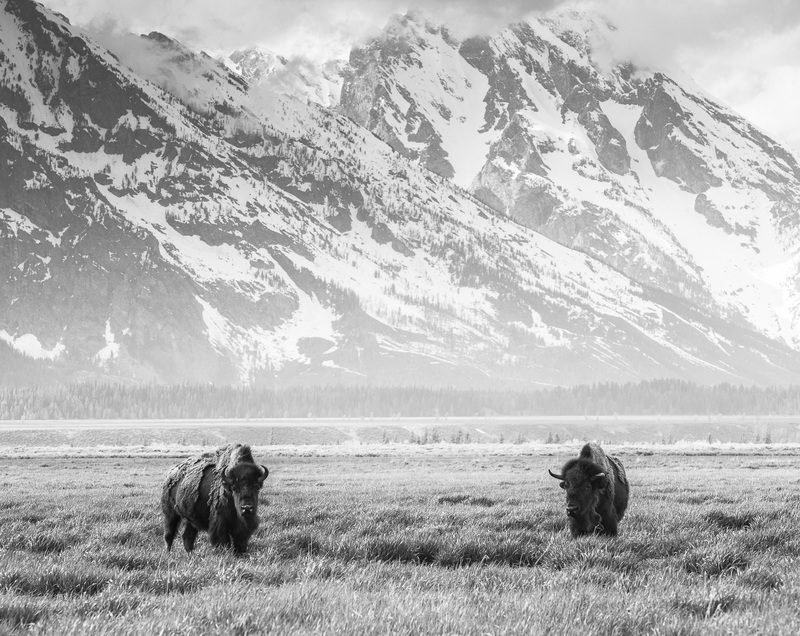 These two are most likely ancestors of the 1968 great Bison jailbreak from a short lived wildlife park experiment in the Grand Teton National Park. Since then Bison have been free to roam the park. Maybe it is more appropriate to say they have chosen to roam the park. Photo © copyright by Lance B. Carter.